Looking west from the Eden Park overlook towards the city of Cincinnati, the lights of Kentucky reflect in the Ohio river on a crisp fall evening. This painting is framed in 3" quartersawn oak. 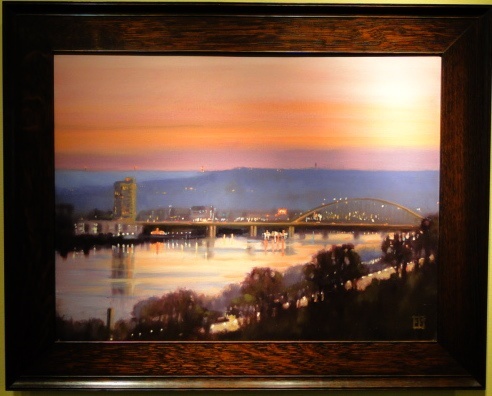 This painting was recently shown at The Friends of Duveneck Art Show at the well known Cincinnati Art Gallery. The show was the first colaboration between the Cincinnati Art Club and the Gallery.